On the first day of Mercedes-Benz Fashion Week, February 9th, I visited The Ami James and POM Wonderful Suite at The Empire Hotel. 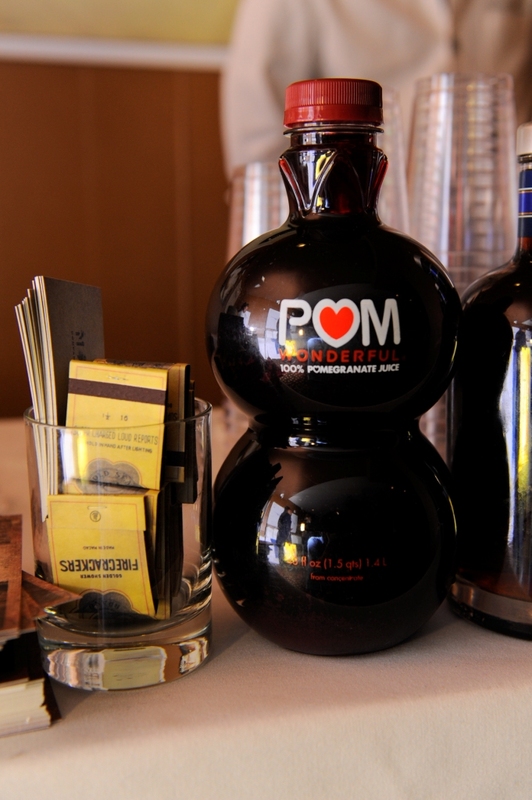 NYC's Macao was on hand, serving up their signature Matahari, made with POM Wonderful Original Pomegranate Juice and a spicy dish of noodles, vegetables and prawns, while guest DJ Cory Kennedy provided the music. 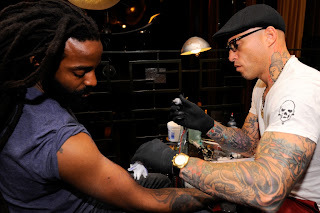 Celebrities such as Adrienne Bailon, Julissa Bermudez, Jay Pharoah, Nigel Barker, DJ Whoo Kid, Knicks' players Renaldo Balkman and Iman Shupert and Neon Hitch stopped by the lounge to check out the tattooing going on and pieces from Ami's clothing line, Ami James Ink.